My lately planted vegetable garden is doing its best to get back on track! It’s been a busy spring time and everything got delayed until the official “whenever I could manage a few minutes” time. But one of the great things about gardening in Tennessee is the long growing season. Even if you don’t get the vegetable garden planted within two weeks of the frost date, you still have plenty of time to get it in! 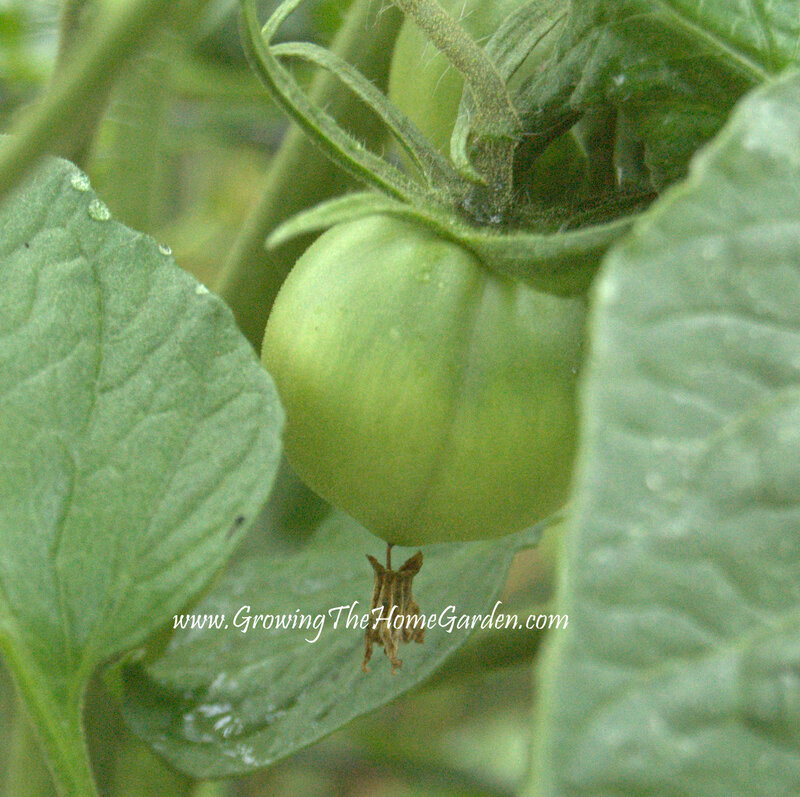 I’m excited to see some of our first tomatoes forming on the plants. 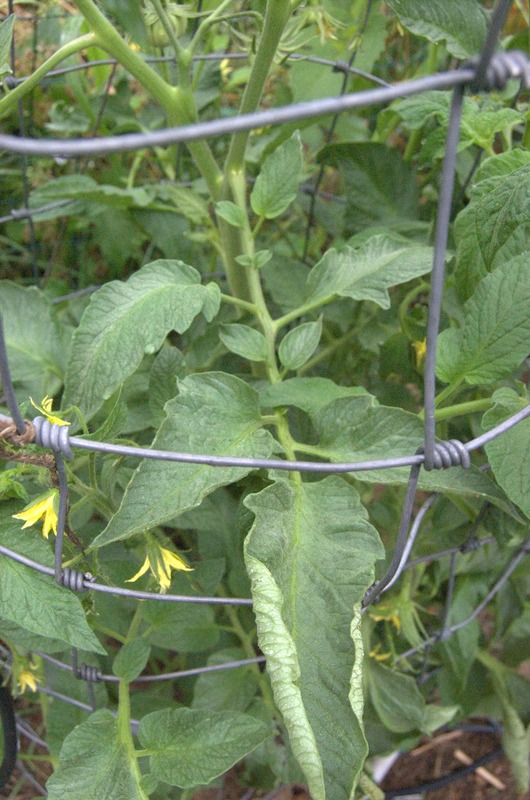 These tomatoes are on an ‘Amazon Chocolate’ tomato plant. It’s an heirloom plant that so far I’m thrilled with even though I’ve never eaten a single tomato! This tomato grew strong and healthy right off the bat from seed. As far as the growth rate it out competed every other tomato I started from seed this year. 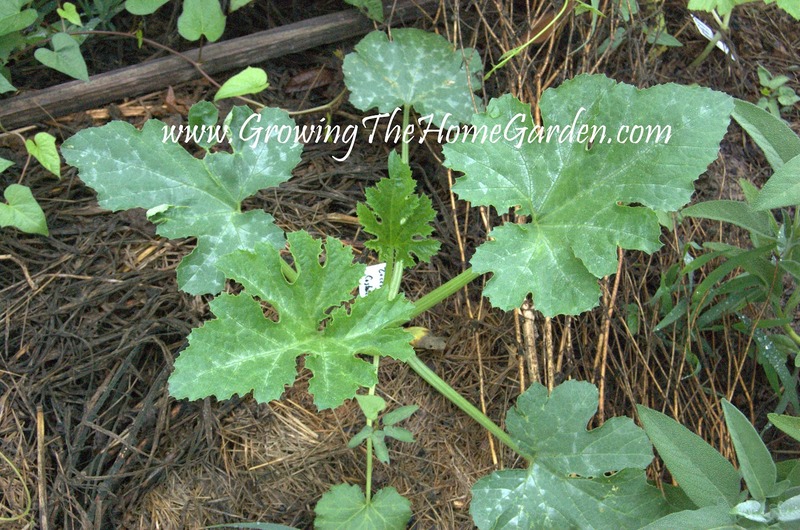 The stem is nice and thick with branches that have very large leaves. I’ll have to get back to you on the taste (I’m looking forward to that taste test!) but so far Amazon chocolate looks pretty good. Another plant I’m excited about is the ‘Yellow Midget’ Watermelon. It’s a new watermelon to our garden. The rind turns yellow when its ripe and ready! They produce 2-3 lb. watermelons which sounded perfect for an after dinner dessert melon. 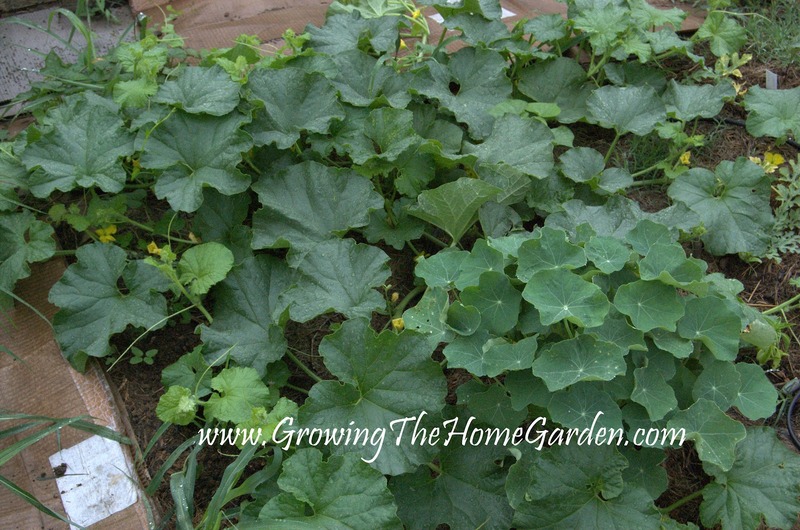 I companion planted nasturtiums right next to the melon in an attempt to ward off the squash bugs and vine borers. So far so good. We’ll see how things go! These melons are planted where I used to have a raised bed. For now it is a borderless raised bed or a mounded raised bed. My family enjoyed some of the first potato harvests this weekend. 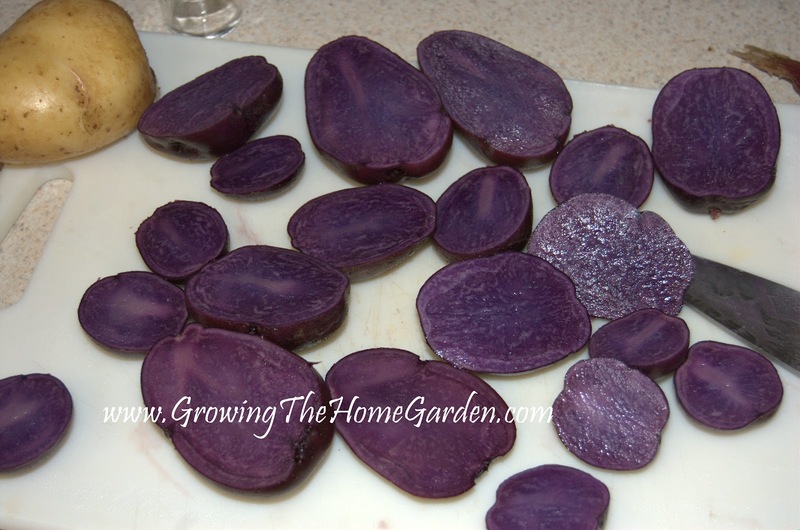 We grew a purple colored potato called ‘Adirondak Blue’ for the first time. It was a little strange to have purple colored potatoes with our dinner but teh taste is all that matters! We enjoyed them both as a skillet grilled potato dish with salt and pepper as well as hashbrowns that accompanied our pancakes. Hopefully over the coming weeks I can spend more time in the vegetable garden getting everything growing exactly how I want it! 5 Ways To Make a Waterwise Garden!